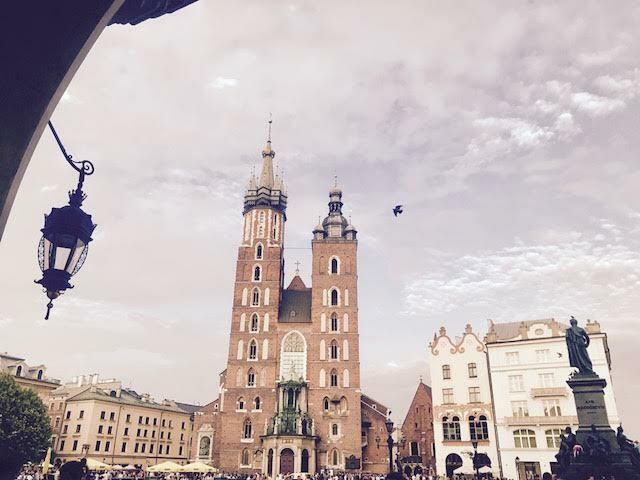 During the period 21 July – 04 August I’ve attended the Yoga Studies Summer School, a summer school that had as main topic “Yoga”, organized by the Jagiellonian University – The Institute for Religious Studies, in Cracow, Poland. I’ll reproduce here, in my quality of a humble student at the beginning of his path in the theoretical and practical approach of yoga, but in the same time full of enthusiasm and eager for knowledge, a few impressions and ideas that I have in my mind after the two weeks of study, although the information that were transmitted during the very intense program are much more extensive and detailed. The teacher that dominated this program, as much due to the fact that he had many hours of presentation / chanting, as due to his strong personality, was Michel Angot. 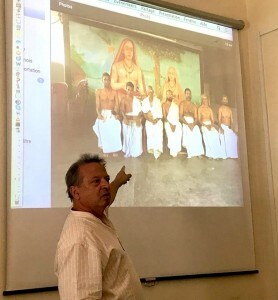 Michel Angot presented a subject that is considered as being important in the Yoga area, Patanjali’s Yoga Sutras in his presentation “Analyzing the Yoga Sutra with the ancient tools and experiencing it through recitation”. The purpose of Mr. Angot theoretical presentation was not to finalize the analysis of the Yoga Sutras in the two weeks of study (something that the people that are interested can do by reading his book Le yoga-sutra de Patanjali Le yoga-bhasya de Vyasa), but to introduce us in the laborious and in the same time interesting process of analyzing a text in sanskrit. 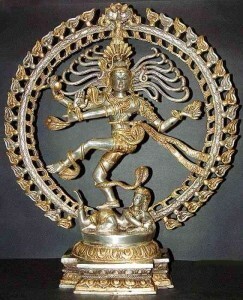 the word “yoga” at the beginning of PYS derives from “silence”, not from “union”, yoga is not the purpose but the mean. 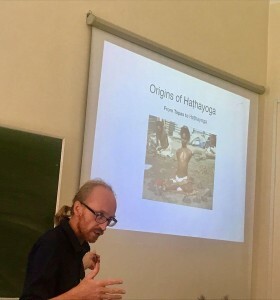 Having to consider the reactions of my colleagues during the summer school and also the reactions afterwards, a part of the ideas expressed by Mr. M. Angot are quite controversial. The visual art component was in time a very important component in the human evolution, and yoga is not an exception from this rule. 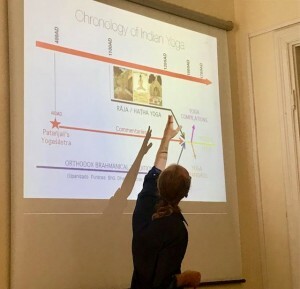 The professor Gudrun Buhnemann has delighted our eyes with her presentation “Aspects of the visual history of yoga”. reaching to visual sources for postural yoga (padmasana is one of the oldest posture visually represented), mandala, yantra & chakras (inside we have two interfering triangles, one with pointing up – representing the masculine and one pointing down – representing the feminine. This two interfering triangles might also have the signification of “knowledge”). 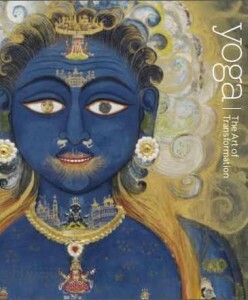 “Yoga – the art of transformation” (exhibition catalogue) contains a big diversity of photos with this visual represenattions. 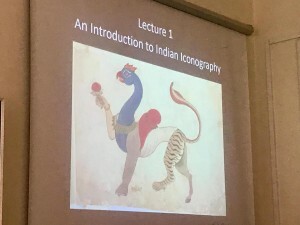 Another subject considered important was chosen by the professor Jason Birch, more precise “The History of Medieval Hatha and Rajayoga”. Hathayoga and Rajayoga derive from the tantra and the ascetic traditions. 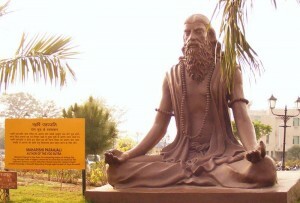 The early texts about hatha yoga and raja yoga appear between the XI th and XII th centuries. raja yoga is the path to samadhi. 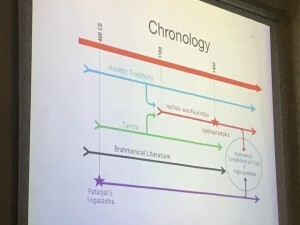 A central text is the Hatha Yoga Pradipika (HYP), around 1450 a.d., of Swami Swatmarama, consisting of four chapters: Chapter 1 – Asana, Chapter 2 – Pranayama, Chapter 3 – Mudra (this three represent the Hatha Yoga) and Chapter 4 – Samadhi (this represents the Raja Yoga). The first standing asanas appear: Mayurasana, Kukkutasana and Kurmasana (different from the one in the present days). Before HYP savasana was a laya yoga technique, in HYP savasana is an asana. 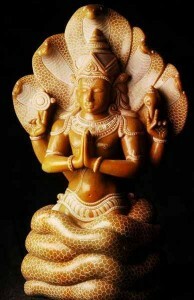 Other practices that appear in HYP are represented by the diet and the satkarmas. Regarding the diet, we have lagu type aliments – recommended, because they are rapidly digested and guru type aliments (like nuts for example) that are not recommended. 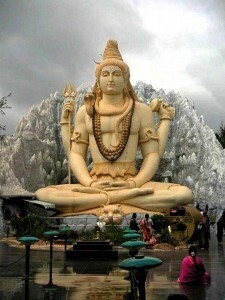 Regarding the shatkarmas (with a therapeuthical purpose, it focuses on the excessive phlegm and fat) we have: dhauti, bast, neti, trataka, khapalabhati. 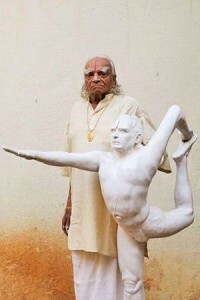 Usually they’re being taught before the asanas and pranayama and are practiced only if they are necessary. During the yogi breathing there are three bandas that are being used: udianabanda, jalandarabanda and mulabanda. Hatha yoga of the HYP doesn’t relate to Patanjali Yoga Sutras, Hatha yoga derives from tantra. The later texts, after the XV th century combine the Hatha yoga from the HYP and Patanjali Yoga Sutras. Surya Namaskar doesn’t appear in the medieval texts, it’s possible to derive from the older Indian martial arts or to be of European influence. In the subsequent texts the ropes appear (possible inspiration from the army practices) and the assisted asanas (they appear in the sketches / drawings, but there are no texts to sustain this information). Padmasana and sidhasana remain the same, from the other asanas, most of them are changing a lot (the reason might be a regional reason or it might depend on what the guru wants to teach). 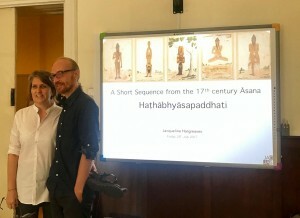 Together with Jason Birch and Jacqueline Hargreaves (you may find her on her blog the Luminescent) we’ve practiced a serial of postures from the Hathabhyasapaddhati. In this text, for the first time the postures are being put into a sequence and the postures are not static, are dynamic.